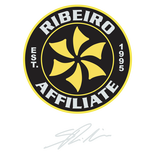 Our main Goal is for the kids to build Confidence in themselves through the practice of Jiu-Jitsu. We believe that building Champions in Life is far more important than anything we do here. Kids learn life skills and bully proof techniques in a fun environment, learning Jiu Jitsu through games while staying focused through discipline. We are a Martial Arts School, not a Club or a Gym. This means that our Goal is not only to teach them how to defend themselves, but to give them Life Skills that will help your Kids become better Human Beings. "I intend to be gentle, respectful, and a good listener. I will always give my best to develop my self-discipline and to have the courage to do what is right and truthful. I am aware that by learning the art of Brazilian Jiu-Jitsu my mind and body are being empowered, but I promise not to be abusive nor offensive to others and always pursue friendship." Our Values: Family, Respect, Loyalty, Discipline, Attitude & Honour. *Auckland Residents Only. We have some spaces available to accomodate your Kid for a Free Trial. Please submit the form below and our staff will get in touch with you. We can't wait to see you and your family at our School!